The combo of brown roughout and the smooth go amazingly well! Epic build man. Idk what everyone thinks of these, But I think they look real nice. I saw them pop up on instagram and dig them. The build on the upper left hand. I think it's jobmaster upper with packer bottom? Looks like british tan? Look what showed up at my house this afternoon! The build on the upper left hand. I think it's jobmaster upper with packer bottom? Looks like british tan? It’s British Tan Domain for sure. I’m out of practice when it comes to spotting the elements of packer/jobmaster hybrids but at a guess I say that was the other way round. Jobmaster last, with packer uppers. @Palmer those Morrisons are a wonderful build, congratulations. So clean. 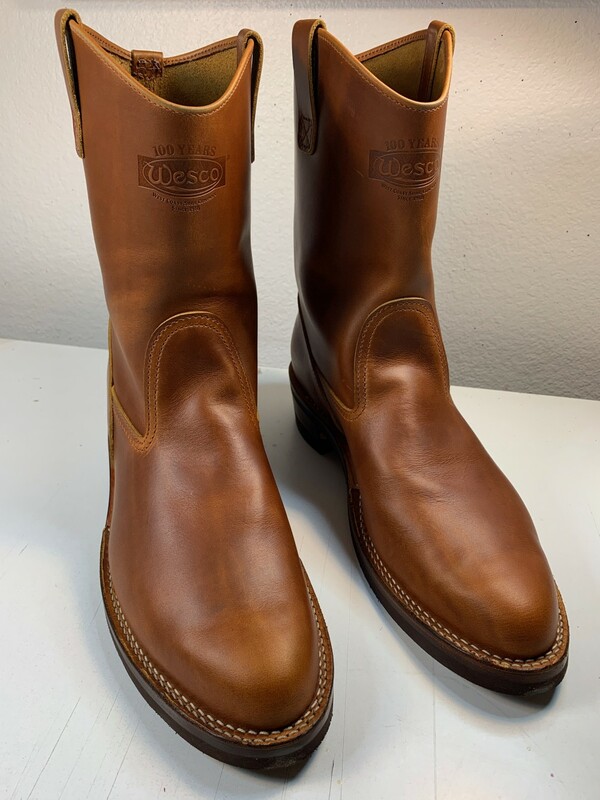 I'm super stoked of having a custom pair of Wescos being made. Thanks @Chap I think they look even better worn in. And I just love how comfy the Jobmaster is. 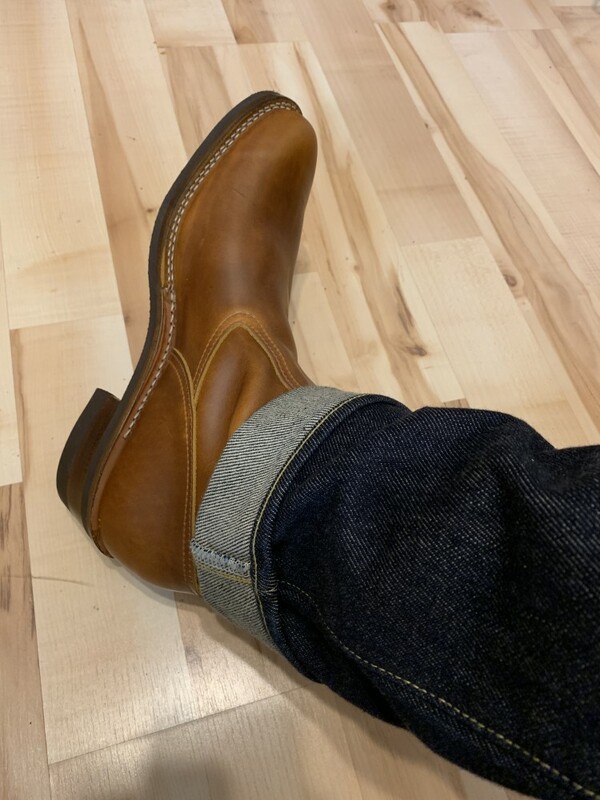 So I think it's a good Investment, I'Ve never been this excited about a boot. 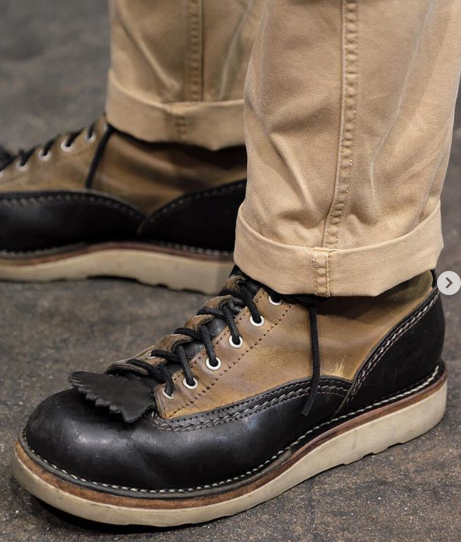 @Max Power those are SICK. The more I see photos of lace to toe Jobmasters the more I like them. 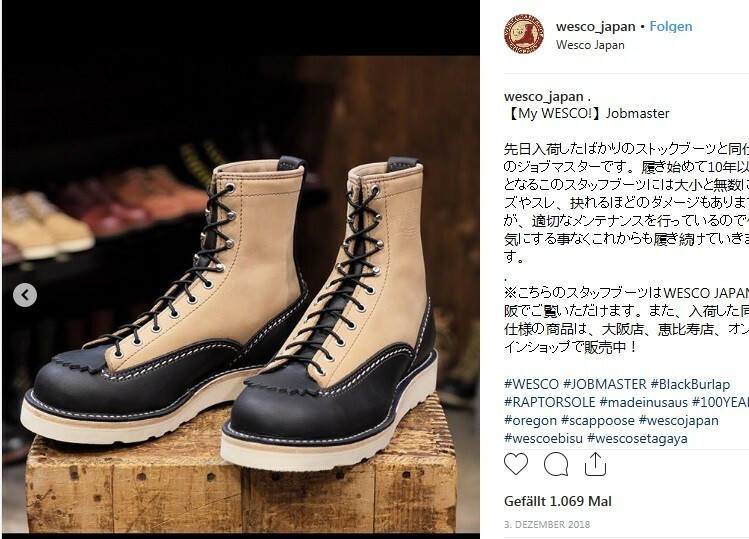 I´m considering getting my next pair of Wescos done as saftey Shoes, is it possible to get a Steel/Composite Midsole in the Jobmaster and is the F100 Sole mandatory with a Steel Toe or is this just a thing in the Configuartor ? 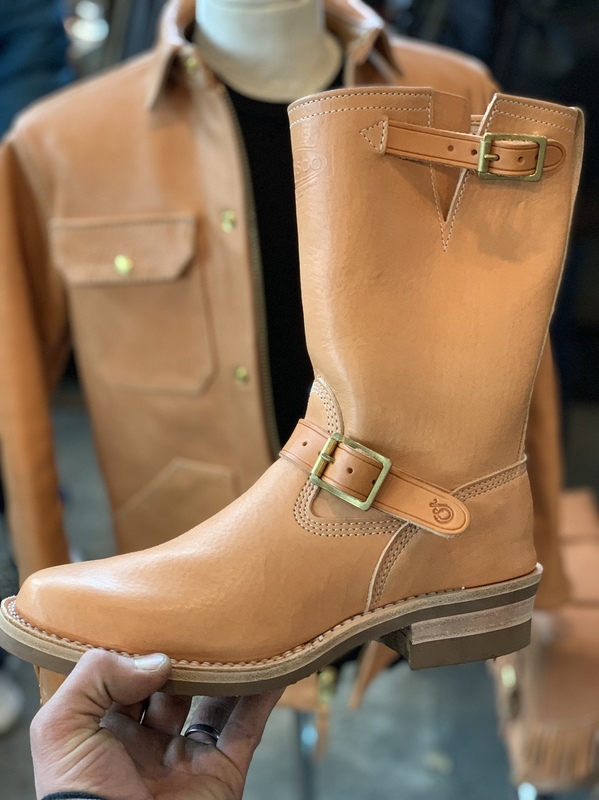 Steel toe can go in most boots that are not Lace To Toe or Semi Lace ToToe and the F100 is not mandatory. The jacket in the back is a veg tan wills collab between Ship John and Langlitz leathers. It’s pretty dang amazing! !